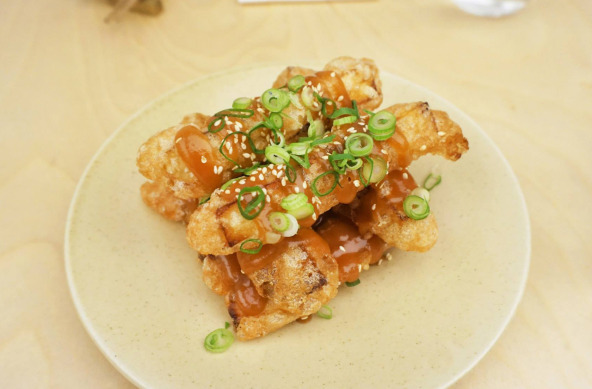 Earlier this year Cho Cho San was launched to much media coverage and a lot of hype from the foodie community. It took us a while to finally visit but we were seeing a lot of interesting and creative Japanese dishes that were being served at the restaurant so a visit was a must eventually. 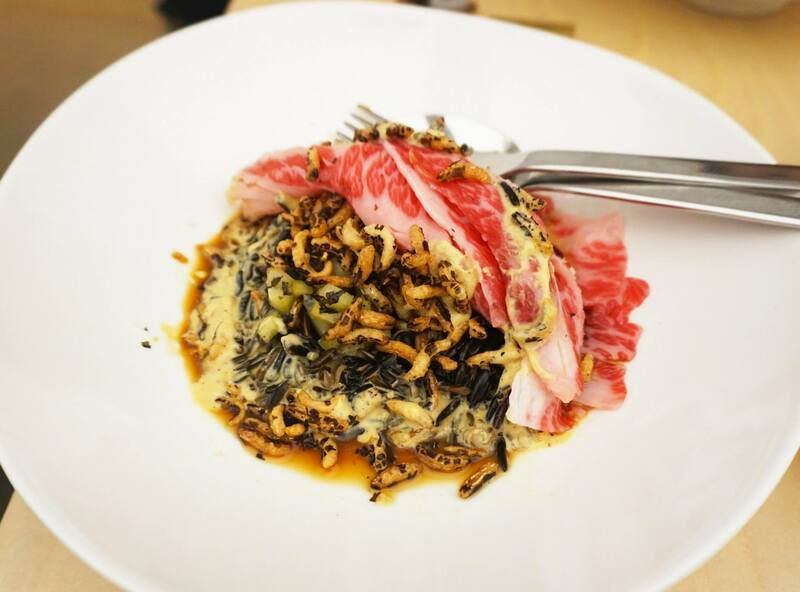 The kitchen is managed by popular head chef Nicholas Wong who has previously worked at Bodega, Rockpool, Ester and Billy Kwong. The first dish we had was the fried eggplant miso, we’ve had this before at other Japanese restaurants but this time was different. The gooey eggplant was deep fried in tempura batter which made it perfectly crunchy, this went so well with the salty miso paste that we were contemplating ordering a second serving just because it was so good. One of the dishes that a lot of people agreed was really good was the beef tataki, I have to admit I would probably have ordered it anyway simply because I love the sound of tataki but the dish itself was actually quite good. 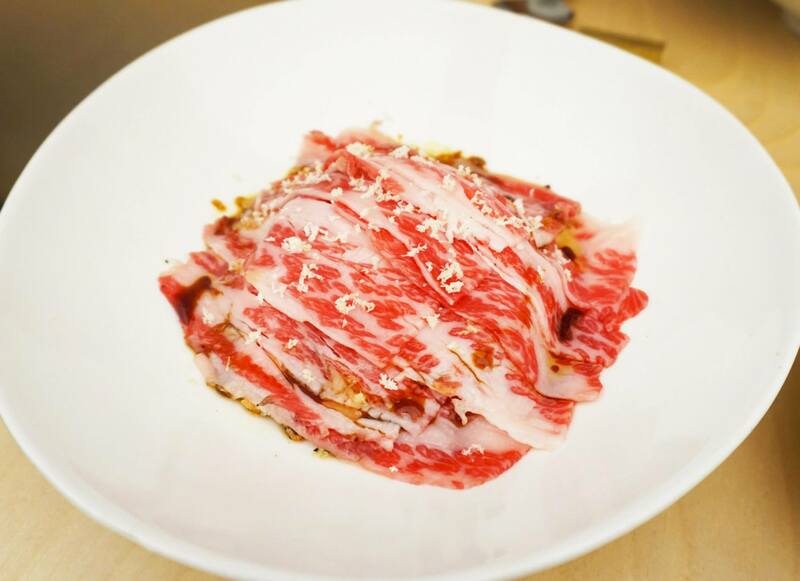 The beef itself is a delicious and very well marbled wagyu, this was served on top of a bed of marinated rice and really flavoursome ginger dressing. 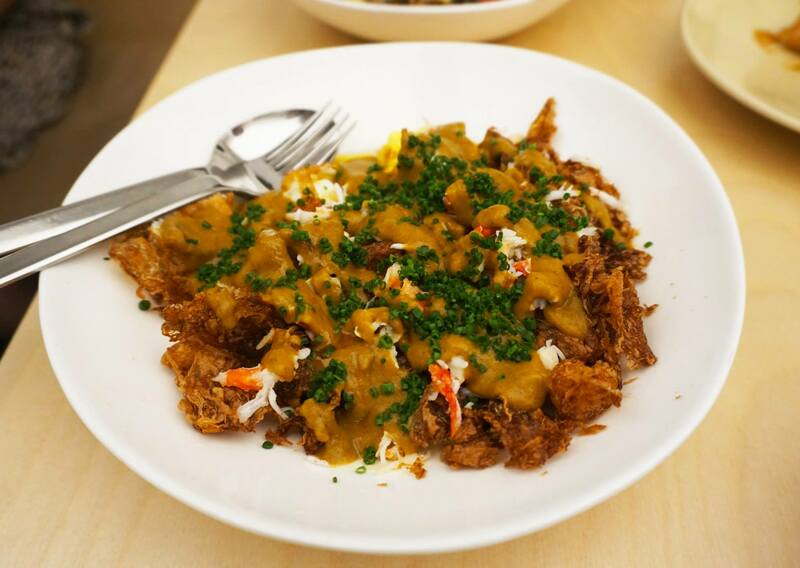 Even more hyped up than the beef tataki was the king crab omelette, it’s basically a fried egg omelette covered in generous amounts of Japanese curry and lots of king crab meat. Definitely not your traditional type of omelette but it was a taste and texture party with lots of crispy egg covered in so many flavours. This was definitely one of the highlight dishes and a must order for anyone who visits! 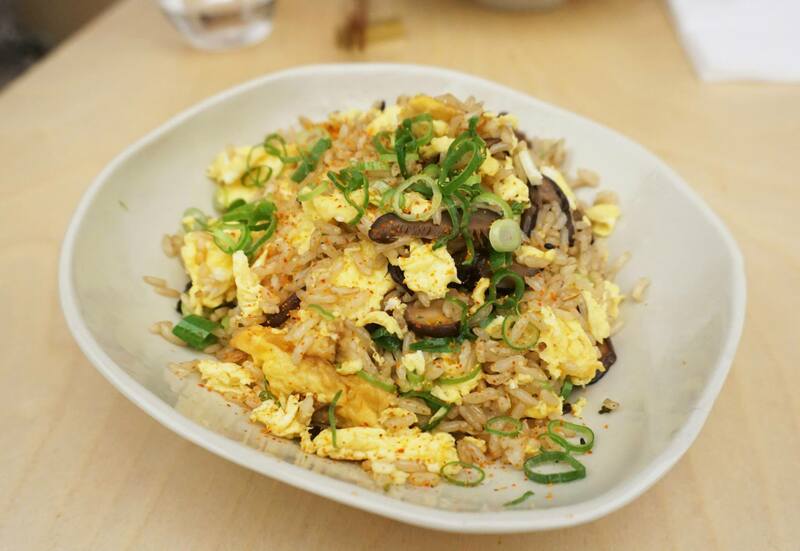 The final dish was a bit hard to pick from as the menu is quite extensive, in the end we decided to go with a relatively healthy choice of brown rice, mushrooms and egg. It’s not the most inventive dish because simply put it’s just a very delicious fried rice, the best part of this dish was the mushrooms which were extremely flavoursome and went well with the nicely textured brown rice. Three weeks since our visit to Sake Restaurant and this I’ve had one sake each week since, I wonder how long this will go on for? 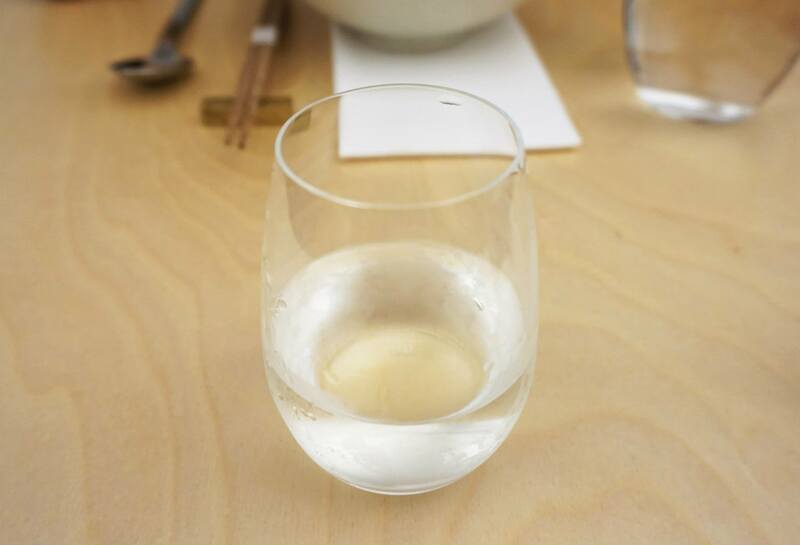 I couldn’t help myself when there was such a large list of Japanese sake on offer – this particular one was quite strong but also had a pleasant fruity scent and taste to it. I was a little bit disappointed by the dessert, Miss K really enjoyed it because it was refreshing and had a lot of mango pieces but I think I would have preferred the soft serve cone. Unfortunately the flavours rotate and it was currently a black sesame soft serve rather than the famous banana flavour. Total cost for the meal was just under $100 for two which I thought was a decent price for a meal like this, we would definitely return to try the other dishes available on the menu! 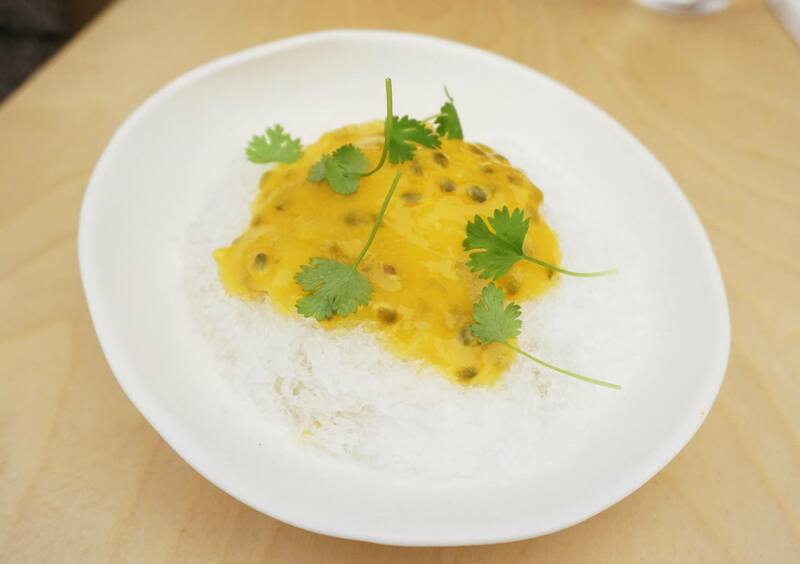 Ooh, the mango & passionfruit snow looks so much better than the one they served when I went there! It’s an izakaya and you didn’t order grilled dishes? I loved the king prawns with kombu butter. 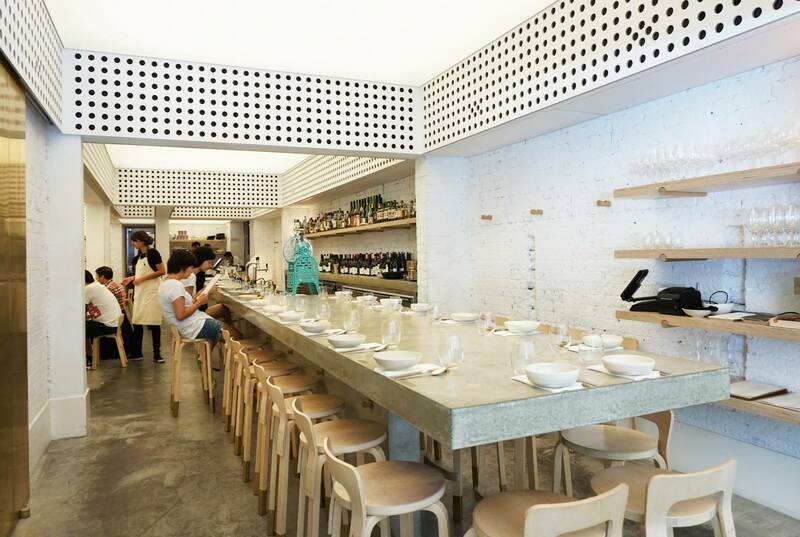 I wouldn’t say it’s a true izakaya, more of a modern restaurant inspired by one. That being said, quite happy with our choices but would probably like to try the hibachi dishes. Lovelovelove the beef tataki. So many amazing textures in one dish! Everyone has been raving about the tataki and banana soft serve 😀 Glad to see it lived up to expectations! Absolutely loved the eggplant and the tataki. I see they have a new version of the Snow – will have to go back!